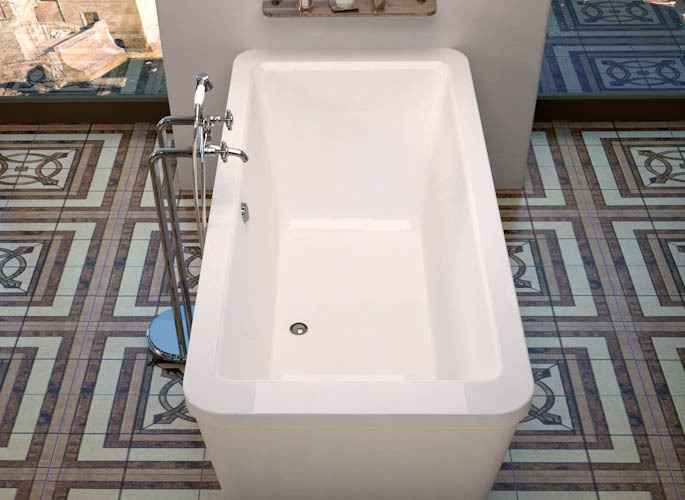 The Aquarius free standing tub features a rectangular, minimalistic design. The rectangular setting maximizes the use of internal volume, allowing bathers to enjoy the deep soak. 32" x 67" x 24.5"